Country Living with easy access to HWY 2 and Miller's One Stop. 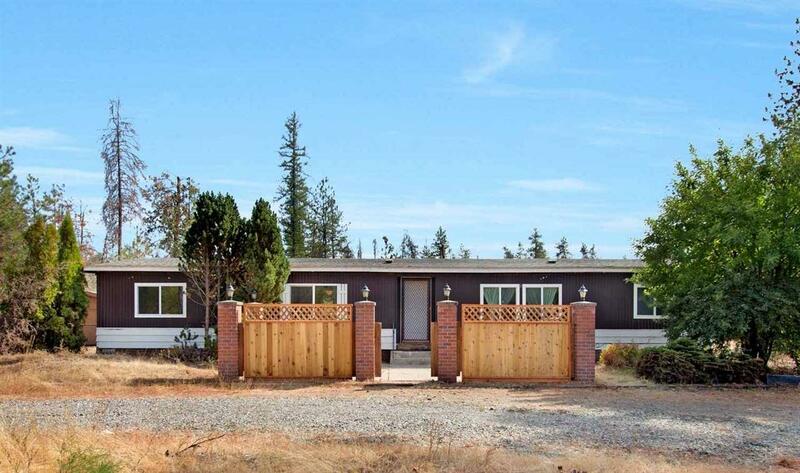 Manufactured home and 5.63 timbered, flat acres with 2 storage sheds. Well produces approx 80 gal/min per last test. Short 3.5 mile drive to schools. Fresh gravel on the traffic circle. Fenced back yard. New roof last year and newer windows. RV slab with 30 AMP power box for visitors.